What is the Going Home Workshop? What is taught in a Going Home Workshop? Six specific problem areas are identified faced by returning citizens and those they live with. Practical solutions are taught for each problem. Workshop participants are equipped with new tools to use during that first year of re-entry and beyond. Is there a typical audience for the Going Home Workshop? Although written for returning inmates, the Going Home Workshop has also been presented to family members of prisoners, corrections professionals, prison ministry leaders, law enforcement, and community leaders. Workshops have been led at Alabama Department of Corrections facilities, national and state conferences, and community-based family assistance groups. How can I describe the Going Home Workshop to others? Use the following description to promote a Going Home Workshop in your area. You know there will be adjustments when your loved one comes home from prison. But just what does that mean? 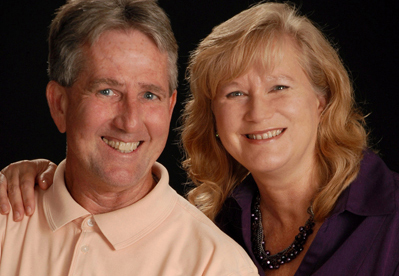 Jerry and Laure Clemons have lived through that adjustment, and in this Workshop they will share with you exactly what they learned when Jerry came home after 6 years of incarceration. Six key areas of adjustment and tools for dealing with each will be shared, as well as an easy-to-learn communication secret that might just keep your family together! Who created the Going Home Workshop? Going Home was created by Jerry and Laure Clemons, based on what they learned after going through Jerry’s return home after six years of incarceration. Laure E. Clemons is the Founder and Executive Director of Extended Family, a support system for families of prisoners. She has been a guest on radio and television programs, gone into prisons to speak to inmates, and been a featured speaker at state and national conferences. Laure is also a co-founder of the Alabama Families of Prisoners Conference. To learn more about Laure Clemons, visit our Bio Page. Jerry Clemons spent six years in an Alabama state penitentiary, returning home January 2009. Since his release Jerry started a successful small business, returned to college, worked in the field of fine art, and volunteers for Extended Family. 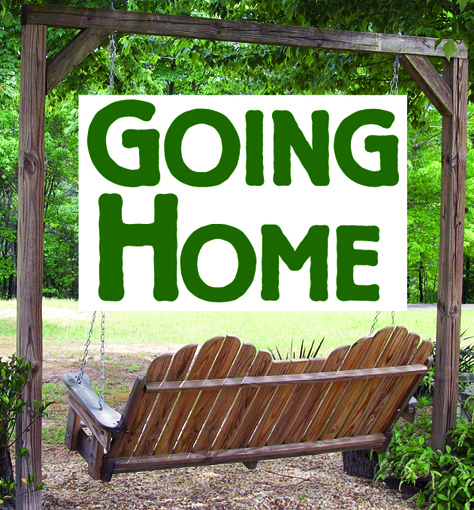 In 2010 Jerry assisted his wife in the creation of the Going Home Workshop, built on what it was like for him to return home and readjust to the world outside. To learn more about Jerry Clemons, visit our Bio Page. How do I book a Going Home Workshop? To schedule a Going Home Workshop, contact Laure Clemons at 256-927-7997, laure@extendedfamilyhelp.org. Churches, conferences and other organizations may contact Extended Family to discuss their particular needs and cost arrangements to fit their budget. What inmates say about the Going Home Workshop!